This Impex Cologne Empire style 8 light blue crystal chandelier in gold plate is traditional and features a ceiling mount and chain suspension, with detailed frame featuring two rows of circular detail, inset with faceted octagonal blue crystal buttons. 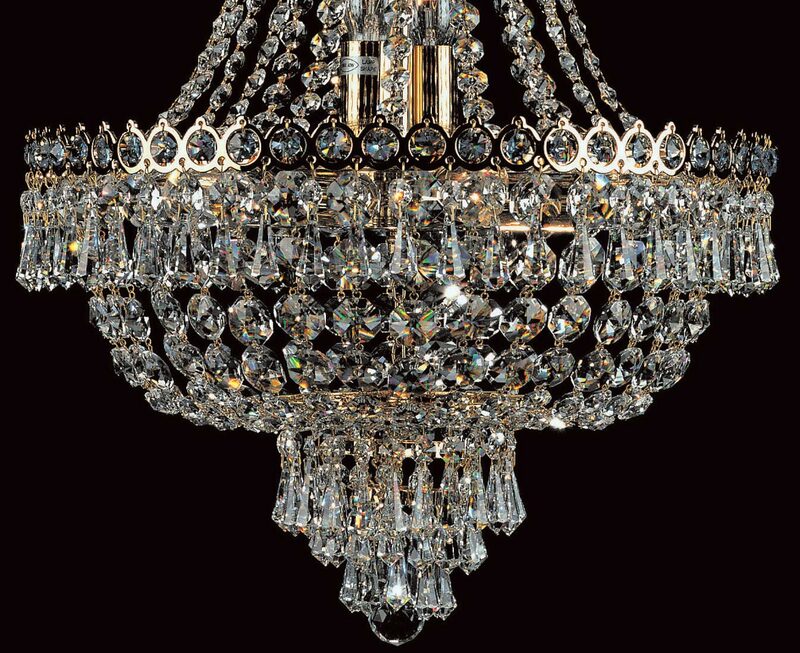 Draped crystal strings hang down from the top to a detailed circular waist, with large faceted crystal drops, large octagonal buttons and faceted ball finial hanging down to cover the chandelier completely. From the prestige lighting collection, a spectacular feature crystal chandelier, with style, quality and impeccable detail. Capture the glittering ambience of the Prestige lighting collection in any space whilst adding a focal point to any room with sufficient ceiling height. Ideal for use over a dining table, in a living room, bedroom, hallway or landing. 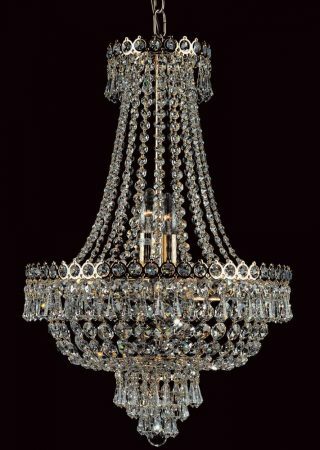 This is a sensibly sized quality crystal chandelier that is not too large. Suitable for most room sizes, the eight bright lights give a wonderful effect through the crystal and is a centrepiece light fitting. Please note that the height given below is for the fitting only, which is supplied with 50cm of chain but can be supplied with any length. Please contact us for this option. Also available in polished nickel (ST00224/40/08/N) but there is no image available at this time. Please contact us if you wish to enquire about this option. Impex Lighting are one of Europe’s leading manufacturers who supply a comprehensive ranges of fittings in traditional, contemporary and classic styles like the Cologne Empire style 8 light blue crystal chandelier in gold plate featured here.